Art and writing can play a crucial role in the process of psychosocial transformation. Written language has a big influence on all kinds of communication. Also, art has often been described as a universal language, which ability to communicate transcends age, race or colour, educational, religious, political or geographical background. FairPen Uganda Foundation and Let Art Talk has developed a concept that is now being used in the schools. It allows secondary and higher primary students to express their thoughts and feelings as a first step when faced with problems. This therapeutic approach is designed to present children and their guardians with a framework to express their concerns before and after the election. An assignment when confronted by such psychosocial challenges, is to let the students visually express what is on their mind. This exercise would change their attitude towards things that are worrying them, relieve their mind and make them feel better. An overall goal is to help to create a future generation of self-conscious adults that are able to think independently, take decisions on their own as well as together, form and express personal opinions, and indicate and resolve any kind of problem. All this in order to contribute to the development of their community and nation. Uganda is facing the elections the coming month. Therefore, it is important to be aware of what can happen. In the recent past, many African countries have been mired by bloody pre- and post-election violence. In 2005 it happened in Ethiopia. In 2006 some election related violence happened in Uganda. In 2007 it was Kenya, then Zimbabwe in 2008 and Togo in 2009. In such situations, thousands of people lose their lives, millions are displaced, and property worth a fortune will be destroyed. Investments may be lost in a matter of hours, due to misunderstandings during elections, hence preventing further development in countries where it occurs. Ugandans are desirous of avoiding taking a similar path. Unfortunately, up until now – just a couple of weeks before the 2011 elections – there are no tangible, all-inclusive programs that will ensure that the general civil community takes part in stopping the electoral violence. This burden has usually been left on the shoulders of security agencies. The civil society should also be involved in avoiding the looming violence. Amazingly, such violence could be avoidable if people did not misunderstand each other on issues of democracy, human rights and development. In Uganda, English is considered the official language, yet a big number of Ugandans do not understand it properly. This means that there is a missing link in almost all matters that are meant to benefit us. 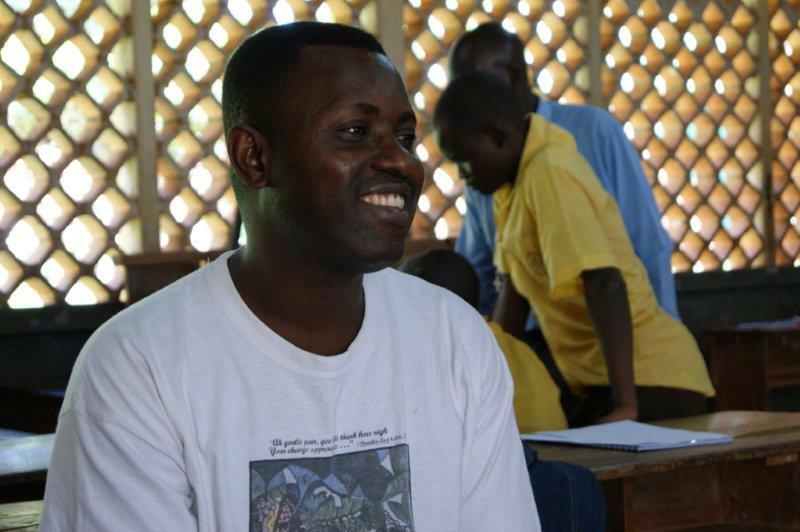 FairPen Uganda Foundation, is a non-profit organization, whose aim is to empower young people to become responsible citizens and adults through writing creative newsletters. The two organisations wants to use their artistic creativity and expertise to foster a culture of peace and non-violence before, during and after the 2011 general elections in Uganda. They introduced thematic newspapers and talking murals (paintings made by students on walls or movable panels) in several schools in northern and southern Uganda. 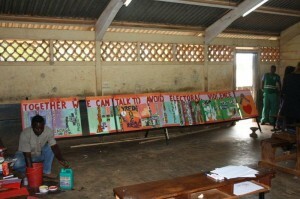 FairPen Uganda and Let Art Talk did recently carry out a project on non-violent elections. Later on, other themes like nation building, accountability and domestic violence will follow in higher primary and secondary schools. Every school will produce a talking mural with the relevant theme. Furthermore, every FairPen editorial team will be asked to produce two articles about the mural and the theme. Hence, the two art forms will mutually influence each other. 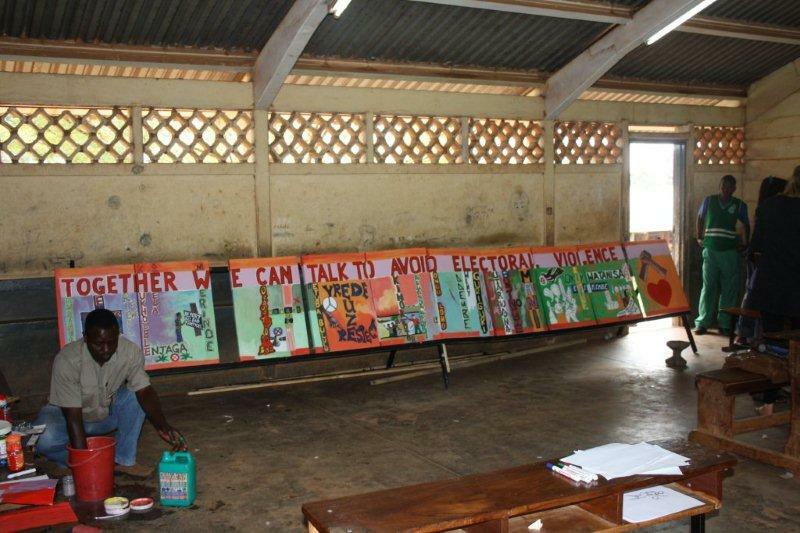 FairPen Uganda Foundation and Let Art Talk started working together with twentysomething students to define words and sentences, in English and their local language, that would fit into the mural’s theme non violence elections. Besides the children; community members, parents, other students and teachers were free to contribute to the mural. Thereby giving it a wider range of participation. During the making of the mural, those FairPen students in charge of covering the event and the theme are able to interview, interpret, form an opinion, discuss their views with others, etc. After finishing the mural, all participants will be invited to join a group evaluation, discussing the theme and opinions, the outcome of the mural, what they thought went well or could be improved, and so on. Some of the murals will be made on canvas, which makes them mobile and to be distributed to different public places. Others will be painted directly on the wall of the participating schools. 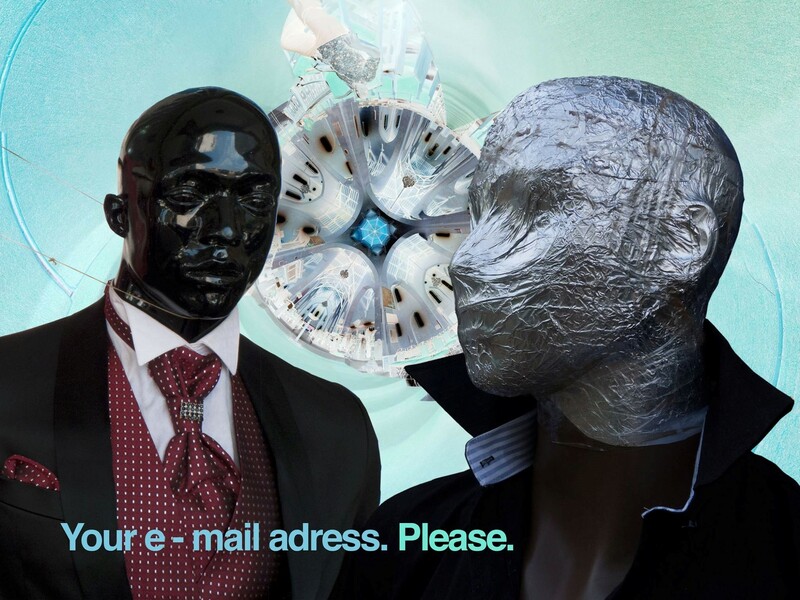 The newsletters, written by the FairPen students, will be exchanged between the FairPen schools which are part of the FairPen project. The future of Uganda – having one of the youngest population in the world – can only be properly shaped if the youth is involved in the affairs of their country. Otherwise, the country will not be able to utilize their youthful energy. Therefore, we envisage engaging the youth in and out of school. Corin van Poppel is a 41 years old Dutch woman, living in Uganda for more than two and a half years. She studied Fine Art and Pedagogy in Amsterdam and works as a management consultant. Current assignment at FairPen is capacity building and networking. From her background it is logical that she is enthousiastic working together with art related organisations.